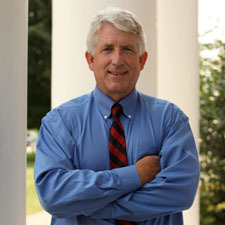 Attorney General Mark Herring today brought legal action against President Donald J. Trump and members of his administration for his January 27, 2017 Executive Order banning entry to the United States for individuals from certain countries, even those who are lawful permanent residents or entering the United States on valid work or student visas. The Commonwealth will be defending the rights of its residents and its own sovereign rights by moving to intervene and join the pending case Aziz v. Trump et al. in the Eastern District of Virginia. “Today I am bringing legal action on behalf of the Commonwealth of Virginia against President Donald Trump and his administration for the unconstitutional and unlawful executive order of January 27, 2017. The Commonwealth has substantial interests justifying its intervention, and make no mistake, the Commonwealth of Virginia, and our people, are already being harmed by this Executive Order. “As we speak, there are students at our colleges and universities who are unable to return to Virginia. We have professors, researchers, and employees at our colleges and universities and Virginia businesses who either cannot enter the country, or who will be barred from returning should they leave. “We have been working around the clock since Friday to examine this Executive Order before reaching this conclusion. This is not an action I take lightly, but it is one I take with confidence in our legal analysis, and in the necessity of intervening to both protect the Commonwealth’s own sovereign interests and vindicate its residents’ civil rights. The Commonwealth’s intervention and participation in the suit is being handled by Virginia Solicitor General Stuart A. Raphael and members of his team.